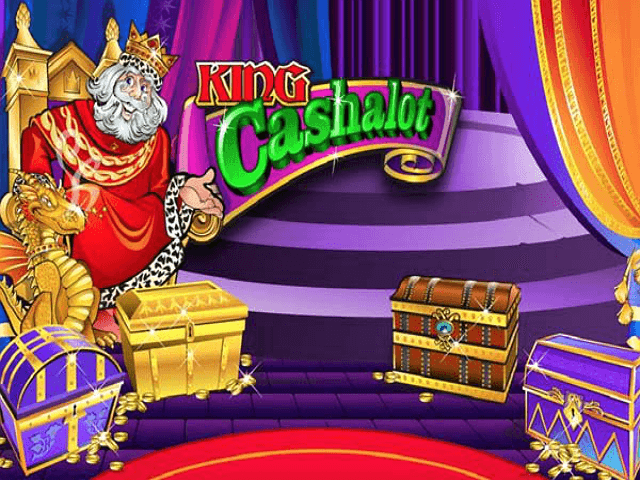 Any slot machine called King Cashalot is setting high expectations for itself but this Microgaming production lives up to its name with a substantial progressive jackpot. As the title suggests, this game is all about big prizes, but there’s more to it than just the jackpot, so read on to find out what's in store. 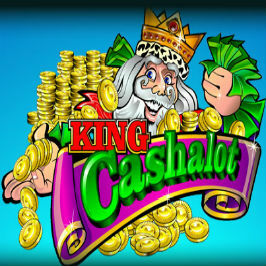 Play King Cashalot for Real Money! 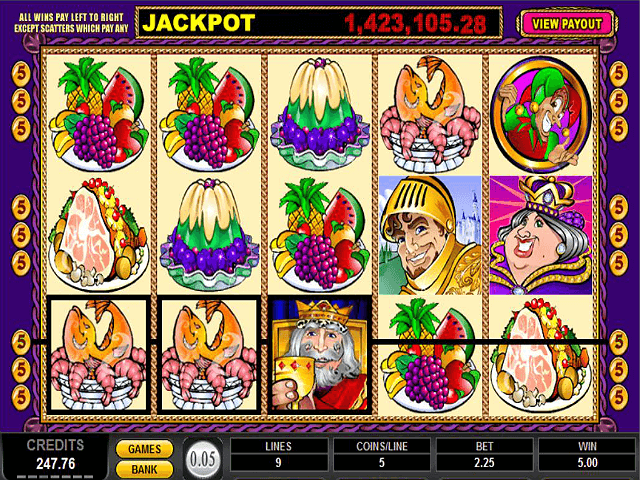 The King Cashalot slot machine is set in the Middle Ages and features a light soundtrack in the background that combines a medieval tune with the noise of people laughing at a banquet. This slot has been popular for many years so the graphics aren’t exactly cutting-edge but they’re certainly bright and colourful. The game consists of five reels and nine paylines, and you can choose how many of the paylines you bet on. The coin value is set at 0.05 and you can bet up to nine coins per line, so despite the eye-watering progressive jackpot, the betting in the base game is relatively low-stakes. Turning on Expert mode gives you access to the AutoPlay function, which means you can set a certain number of spins to run automatically. 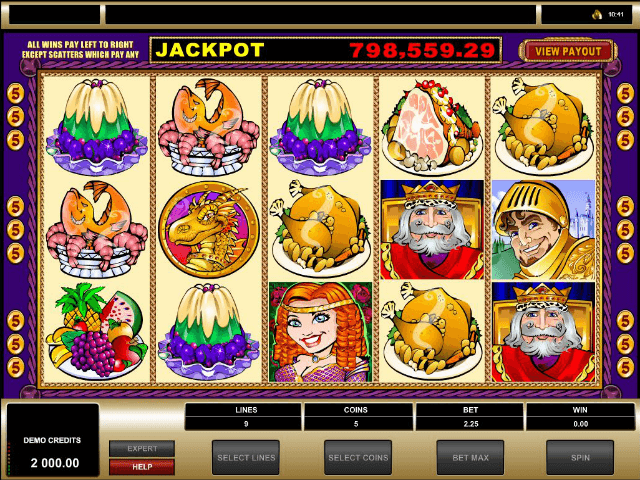 The symbols in King Cashalot online slot are fit for royalty and there’s a common theme of gold, reflecting the opulence of a medieval feast. There’s the king himself wearing a gold crown, a princess wearing a gold headband, a prince in gold armour and a golden dragon. Various food dishes complete the reels, including turkey, fruit and a blueberry pudding, and these are the lower-ranked icons. The highest-paying character is of course the king, who delivers a whopping 15,000 times your stake if you land five. The king is also the wild symbol and substitutes for all others except the scatter and the golden dragon. As well as the progressive jackpot, there are a couple of other features in the King Cashalot slot. Landing three of the golden dragon bonus symbols on reels two, three and four activates the Treasure Bonus. Here you have to pick from one of eight treasure chests in a ‘stick or twist’ type of game, deciding if you want to keep the prize offered or pick again. You get three chances, and if you turn down the first two you’re left with whatever’s in the final chest. In addition, look out for the scatter character that’s the jester. He will pocket you winnings simply by appearing on the reels rather than necessarily on a payline; five scatters pay out 50 times your bet. The main feature of this online slot game – and the main reason why casino players keep flocking back to it – is the progressive jackpot. It starts at 100,000 but regularly reaches a million and even beyond. As you play you can see the jackpot slowly going up on the counter at the top of the screen. The only way to scoop the top prize is by landing five of the king symbols on the ninth payline. Therefore, you have to have all nine paylines in play to be in with a chance. The progressive jackpot will be going up as you read this, so don’t miss out. You could be living like a king if you win it! Share this King Cashalot Review today! 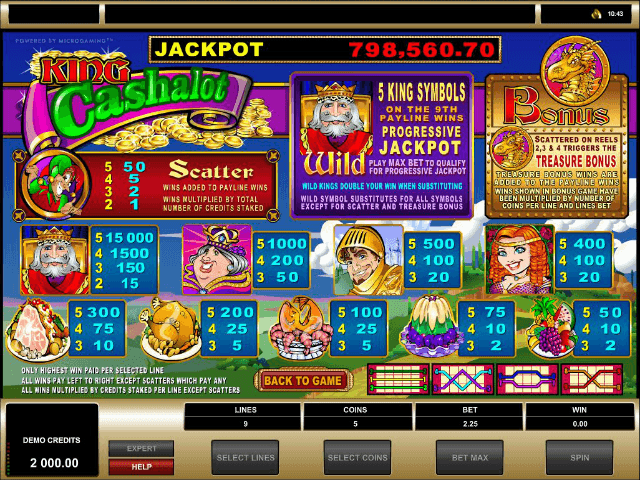 If you like King Cashalot, you'll love these slot titles too!